Printer, UHF, Thermal transfer, USB/Serial/Parallel/Ethernet Connection, ZebraNet Internal Print Server, 300 dpi, US/Canada. Cables Sold Separately. Wi-FI (802.11a/b/g/n), RFID Printer, UHF, Thermal transfer, USB/Serial/Centronics Parallel/Ethernet Connection, ZebraNet Internal Wireless, Bluetooth, 300 dpi, LCD, US/Canada. Cables Sold Separately. 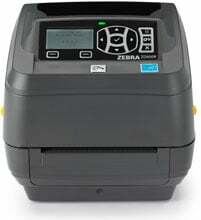 RFID Printer, UHF, Thermal transfer, USB/Serial/Parallel/Ethernet Connection, ZebraNet Internal Print Server, 203 dpi, US/Canada. Cables Sold Separately. UHF RFID Thermal transfer Printer, 203 dpi, 4" print width, LCD Display, Wi-Fi (802.11a/b/g/n)/USB/Serial/Ethernet/Bluetooth Interfaces, Cutter. Cables sold separately. 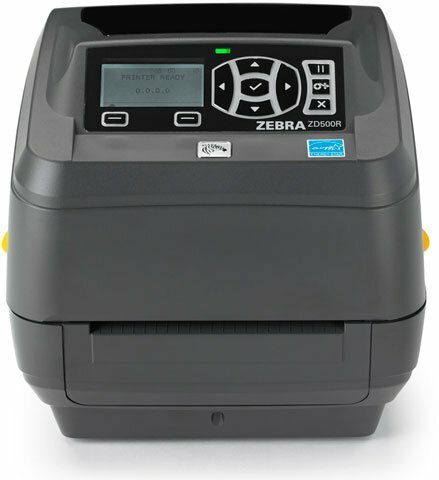 RFID Printer, UHF, Thermal transfer, USB/Serial/Centronics Parallel/Ethernet Connection, ZebraNet Internal Print Server, Bluetooth, 203 dpi, LCD, Peeler, US Power cord, US/Canada. Cables Sold Separately. 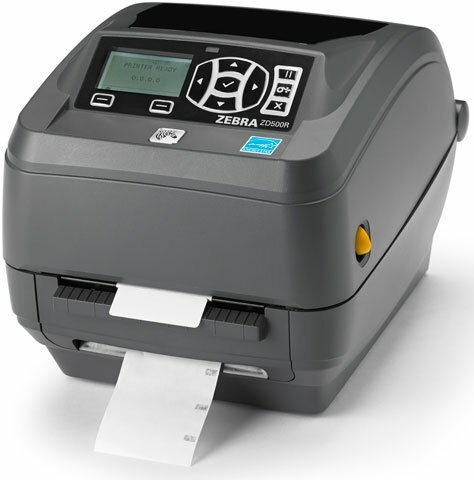 Thermal transfer printer, RFID encoder UHF, 300 dpi, USB/RS-232/Parallel/Ethernet/Wi-Fi/Bluetooth interfaces, LCD Display, Cutter, ZPL print language. Includes US power cord. Does not include necessary interface cables. 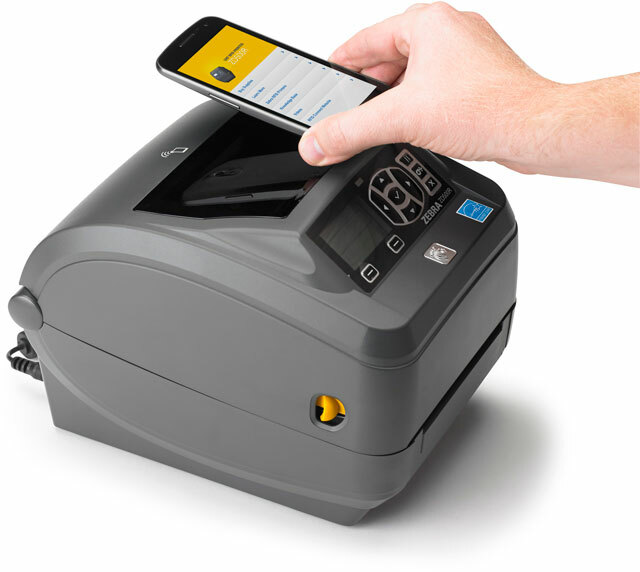 RFID Printer, UHF, Thermal transfer, USB/Serial/Centronics Parallel/Ethernet Connection, ZebraNet Internal Print Server, Bluetooth, 203 dpi, LCD, Cutter, US Power cord, US/Canada. Cables Sold Separately. UHF RFID Thermal transfer Printer, 203 dpi, 4" print width, LCD Display, Wi-Fi (802.11a/b/g/n)/USB/Serial/Ethernet/Bluetooth Interfaces, Dispenser. Cables sold separately. Wi-FI (802.11a/b/g/n), RFID Printer, UHF, Thermal transfer, USB/Serial/Centronics Parallel/Ethernet Connection, ZebraNet Internal Wireless, Bluetooth, 203 dpi, LCD, US/Canada. Cables Sold Separately. I use this for RFID labeling shipments to the DLA. It does exactly what it should. With it being such a new item, the RFID label rolls size is somewhat difficult to find at a reasonable price. 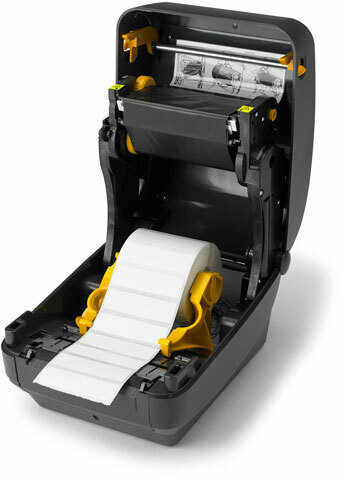 Ideal roll inside diameter is 1", while most RFID label rolls come on 3" inside diameter rolls. The printer does come with the adapters to use 3" inside diameter rolls, but the maximum outside diameter is 5" - most rolls that come with 3" ID have an outside diameter much larger than 5". I was able to find rolls of the appropriate size for about $0.22/label. With that small exception, this is a great printer that takes up very little space and is MUCH more affordable than the larger commercial models. This did include the USB cable, even though the description says that it does not.